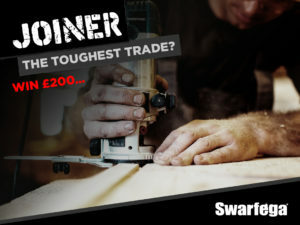 Which is the UK’s toughest trade? Swarfega are once again on the hunt for the toughest trade in the country. The 2018 title was handed to Russell Ennis, representing plasterers with his mammoth task of plastering a huge vaulted ceiling. 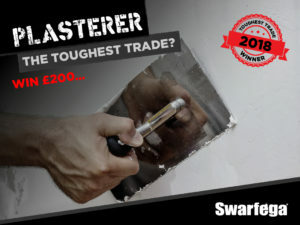 In 2019 Swarfega will be finding out if plasterers can defend their title or if they’ll be defeated by a competing trade. Whether you are a roofer shifting tons of materials high in the sky come rain or shine or a brickie making sure that solid foundations are built upon, builders definitely work in some of the harshest conditions. Builders didn’t make the top five last year, but will things be different this time? 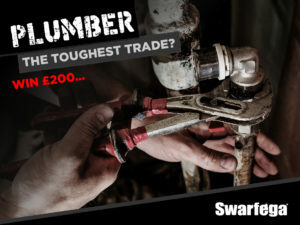 Across January and February Swarfega will be challenging you to post a picture of you or a colleague battling your toughest task on their Facebook or Twitter page with the hashtag #ToughestTrade and a short reason why your trade should win 2019’s accolade. 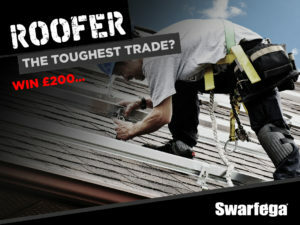 At the end of February, Swarfega will judge each picture and choose the one showing the toughest task. The winner chosen will receive £200 in Amazon vouchers and the trade that the winner represents will be crowned the Toughest Trade for 2019. 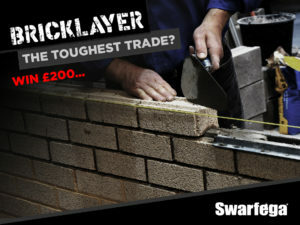 The first 10 people to post their toughest task picture will receive a pack of TOUGH by Swarfega gift packs . Next : Do you own the UK’s dirtiest van?